This Sunday’s Bird walk was cancelled because of the weather!! 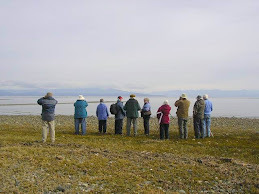 The Tuesday bird walk on November 21, 2017 will be going to Columbia Beach in French Creek, depending on the weather! Meet at the Parksville Community Park (at the parking lot in front of the Lions Club Playground) at 9:00 a.m. or at the parking area off Admiral Tryon Blvd. (turn onto Columbia Drive off highway 19a then turn right onto Admiral Tryon Blvd. Go about one hundred yards and turn left to the parking area) at about 9:15 a.m. The Sunday walk on November 26, 2017 will be going to Neck Point Park in Nanaimo, again depending on the weather. Meet at the bird store at 9:00 a.m. or at parking lot at Neck Point in Nanaimo off Hammond Bay Road at about 9:15 a.m.
A Blue Jay has been visiting a backyard feeder for two days along Greendale Road and Highway 18 in Lake Cowichan.